Particularly in their older years, hip problems in dogs become more common. 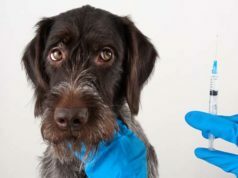 While some of these issues could be genetically predisposed in the dog, the early onset can be triggered by external factors such as arthritis, joint health issues, obesity, etc. However painful hip problems in dogs may be, they can also be managed, especially if you spot the symptoms on time and start the treatment early on. Here are some of the most common signs of hip problems in dogs to look out for. Most of the symptoms of dogs' hip problems can be spotted easily and quickly because these issues tend to be very painful and your pup will certainly let you know that he’s uncomfortable, particularly when you try to touch him. Dogs with hip problems often become less active. You may notice that your pooch is resting or sleeping more, or that he doesn’t show enthusiasm for walks or playtime. While this can often be attributed to aging in general, it is also very likely that your Fido is in pain. Standing up from a lying position can be a difficult task for dogs with hip problems. This is often noticeable in the morning because the slowness with standing up usually correlates to the length of time the dog was inactive. You might not spot this issue so easily later in the day when your dog warms up a bit. However, even then you may notice a decreased range of motion. Depending on the severity of the hip problem, you may notice intermittent or constant lameness in your dog’s hind legs. This can also lead to a visible increase in the size of his shoulder muscles since they have to compensate for the hind end. You may be able to notice a narrow stance in your dog’s hind limbs, which is recognizable by the back legs that are positioned unnaturally close to each other. Any problem with hips will affect your dog’s rear legs, which play a crucial part in his ability to jump or climb stairs. If your dog’s condition is not serious, he might simply exhibit reluctance to jump or climb stairs. However, as the issue with dog's hips progress he may end up becoming completely reliant on your assistance with these tasks. This term refers to a change in gait that some dogs with hip issues exhibit and it is named “bunny hopping” because dogs lift both hind legs simultaneously, just like a rabbit does when he jumps. This usually happens when a dog is walking but it can also occur while running or walking up or down the stairs. The two most common causes of hip pain in dogs are hip dysplasia and arthritis. In fact, dysplasia is one of the prevailing causes of arthritis. It is a condition in which the hip socket and the femur bone are not fitting together properly. This leads to constant rubbing and grinding which can be very painful for your canine. This is a genetic condition that's more prevalent in large breeds, although it can happen to any breed. Some of the breeds more likely to suffer from dysplasia and other hip problems include German Shepherds, Retrievers, Rottweilers, Great Danes and St Bernards. Pugs and French Bulldogs are at the highest risk from hip problems when it comes to smaller breeds. Next to the genetic predisposition, some environmental factors may cause or worsen hip dysplasia. The biggest among them are obesity and rapid gain weight. Lack of exercise and improper nutrition can increase the likelihood of your dog developing hip dysplasia. Pelvic injuries and repetitive strain can also contribute. While hip problems are often genetic and can’t be prevented, in some cases there are things you can do to minimize the risk. The entire process should start when your pup is still young and his skeletal system is developing. That includes the appropriate diet that is rich in protein and low in calories. It is also important to balance the mineral content of his food, especially calcium and phosphorus. Using joint supplements, especially glucosamine chondroitin, may also be helpful, but there isn’t definite data available to support these claims. How to Treat Hip Problems in Dogs? It is imperative to spot any problems early and to start the therapy as soon as possible to prevent irreversible deterioration of the dog's hip joint. The treatment will depend on the severity of your pet's hip problems, as well as his age and size. Conservative treatments for dogs with hip problems include pain medications, anti-inflammatory drugs, physical therapy, and weight management. Your vet may also recommend exercise restrictions, especially on hard surfaces. Some vets may prescribe dietary supplements which work as the joint fluid modifiers and can help your dog regain the range of motion to some extent. Modifications to your household can help your dog manage his condition easier and improve his quality of life. Cover your stairs and slippery surfaces around the house with carpets to increase your dog’s safety and mobility. Ramps are the best way to help your dog get access to cars but they can also enable your pet to avoid using stairs in the house. Keep your dog’s bedding well-cushioned to prevent any pressure on the hips. For more severe cases or in those situations where the dog is young and healthy, surgery can be a viable option. Some common surgical treatments include juvenile pubic symphysiodesis, triple pelvic osteotomy, femoral head ostectomy and total hip replacement. This surgery is performed on immature dogs with hip dysplasia and therefore a high risk of arthritis. However, puppies should at least be 16 weeks old before the surgery and it may be difficult to notice any symptoms of hip dysplasia at that early age. That’s why it is recommended for dog breeds with a higher risk of hip dysplasia to be tested with PennHIP radiographs to diagnose possible hip problems. Juvenile pubic symphysiodesis involves fusing two pelvic bones together to allow other pelvic bones to develop the right way. It is a very effective procedure that decreases the risk of arthritis later in life. This is a surgery that serves to improve the function of the socket and ball in the hip joint by cutting the dog's pelvic bone and rearranging the segments. It is usually done in pets younger than a year but it can be performed in dogs that are up to two years old. This procedure is performed on smaller dogs, usually weighing less than 50 pounds. However, it can be done on both mature and young dogs. It involves removing the ball of the hip joint, after which the body creates a second, “false” joint. This can’t bring back normal hip function but it can be a good way of managing pain and discomfort related to hip dysplasia. Total hip replacement is a very complex procedure and it is usually recommended as the last resort. This surgery involves complete removal of the ball and socket of the hip joint, which are replaced with plastic and metal implants. This procedure can be very effective and return the hip function to an almost normal range, eliminating the pain in the process. However, there are certain risks present as well, like nerve damage and infections. Implants can also become loose with time. In conclusion, hip problems in dogs can be very painful and decrease the quality of life significantly, especially in larger breeds. Luckily, there are many ways to treat and manage hip problems, including proper diet, exercise, pain medications, joint supplements and, in certain cases, surgery.